Architectural As-built Building Modeling (ABM) is a service provided by Prime Edge LLC that combines cutting-edge BIM technology and a competent technical skill set to produce accurate working BIM Architectural as-built deliverables for Commercial and Residential structures. BIM Architectural as-builts offer an extended 3D Architectural shell information in addition to traditional CAD as-built deliverables. BIM as-builts generally take longer to produce, but offer a wide range of benefits for designers working in BIM environment. For more information please fill out our on-line quote request. 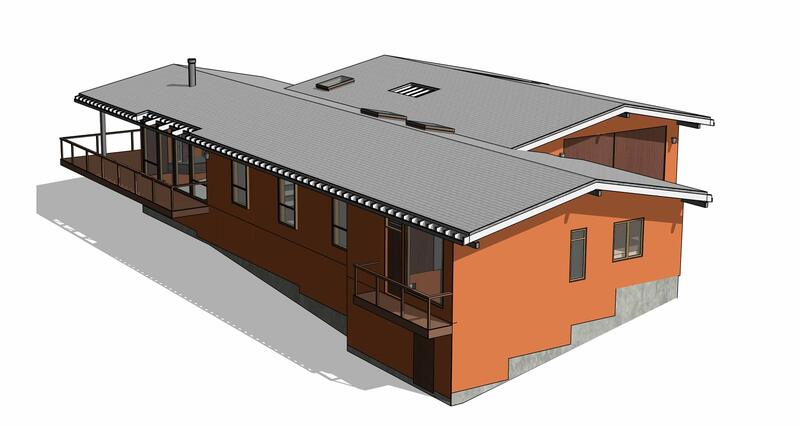 Architectural As-built Building Model provides a designer with accurate initial BIM design variables. BIM environment requires careful planning, accurate information and good understanding of AEC standards. 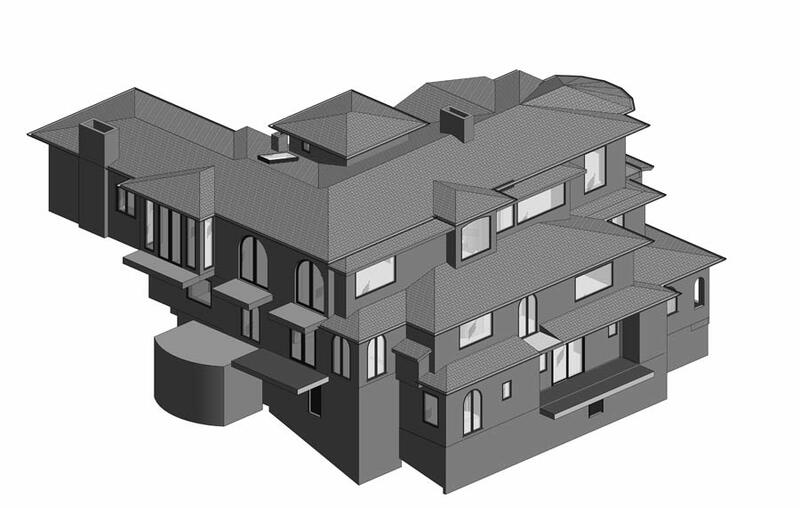 Prime Edge LLC has a tailored knowledge of AEC and BIM environments allowing us to produce comprehensive models. LOD 100 - Essentially the equivalent of conceptual design, the model consists of overall building massing. LOD 200 - Model elements consist of generalized systems or assemblies with approximate quantities, size, shape, location and orientation. LOD 300 - Model elements are suitable for the generation of traditional construction documents and shop drawings. Architectural As-built Building Model for the initial design typically consists of elements that are assigned to LOD 200 and LOD 300 classifications. For more precise description of our BIM as-built deliverables, please use our on-line quote system. Most importantly, Prime Edge LLC delivers its models suitable for developing higher LOD levels, this distinction is only possible with highly-qualified approach and is not typically available with any rival asbuilt services. Architectural as-builts are essential for structures undergoing growth and changes. 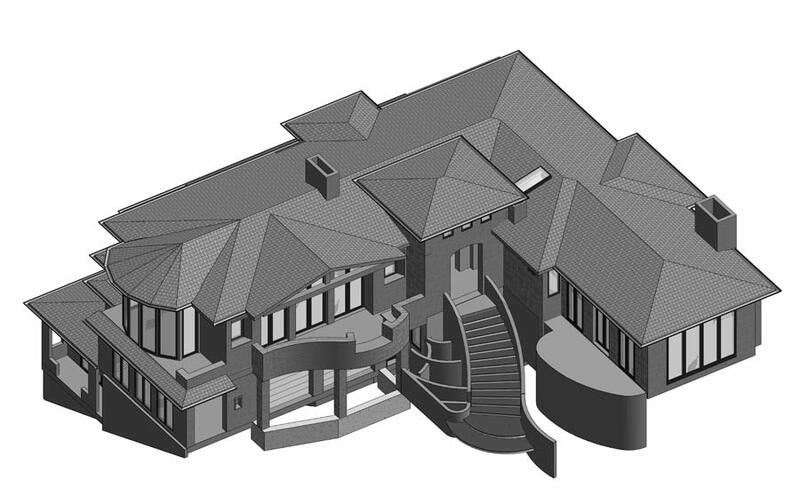 A well-built BIM model provides an extended set of information beyond traditional CAD layout. Architects and Designers working with BIM need to rely on accurate and well-developed Architectural as-built shell in order to deliver sensible design. Prime Edge LLC works closely with designer’s preferred BIM standards in an effort to produce the most accurate model that can be easily integrated with her modern construction philosophy. Prime Edge LLC is highly-experienced with high-quality computer-generated asbuilt BIM modeling, technology that came into the world of Architecture only few years ago. Today, BIM modeling is used in planning, building and closeout stages on a modern construction project. For an owner having an Architectural as-built building model completed ahead of the design phase provides flexibility with choosing the right designer and fast-tracking the design into construction. Builders often face challenging fast-track projects that have little or no initial design information, breaking ground while working to provide design-build services. Prime Edge LLC helps builder and her team to focus on the immediate project needs and optimal design features by using our Architectural as-built BIM model developed with an excellent understanding of an AEC process. With a well-understood BIM implementation, a Building Contractor is taking a pro-active step towards reducing unnecessary change orders. BIM as-builts allow your design team to focus on the project needs and optimal design features while taking the guess work out of the equation. Having BIM as-builts completed ahead of the design phase lets you share drawings among all parties involved, fast-tracking the design phase into construction. Prime Edge LLC delivers its BIM models following the AIA and National CAD Standard guidelines, assures wide acceptance by AEC community. Prime Edge LLC BIM As-built documentation becomes property of the project owner, allowing full rights retention for any future use.